As reported earlier, we are working to get co-packaged ORS and Zinc on WHO’s Essential Medicines List for Children (EMLc). We are doing this because the circumstantial evidence suggests that while ORS and Zinc are listed separately on the EMLc they will be procured and supplied separately and rarely dispensed together. 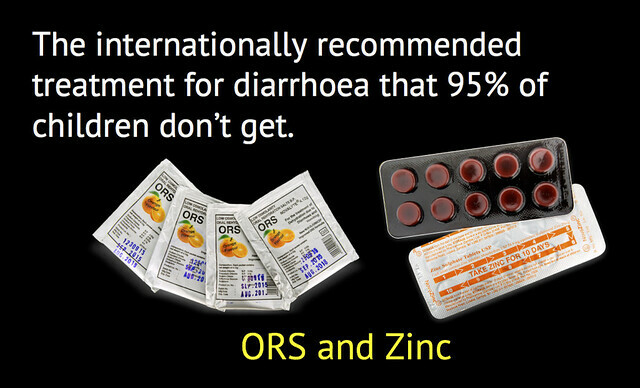 The combined use of ORS and Zinc for the treatment of diarrhoea has been the international recommendation for 14 years. Despite this, 95% of diarrhoea cases are not treated with ORS and Zinc and diarrhoea remains the second biggest infectious killer of under 5 children. We first had this idea in late Jan-17 which unfortunately was too late for submission to the WHO EML Committee which met at the end of Mar-17. However, we did make a late submission and, in addition, Zambia’s Minister of Health wrote to the EML Secretariat but we had missed the deadlines. So we are now gearing up for the next meeting of the EML Committee in Mar-19 (sic). The EML Committee meets once every two years. 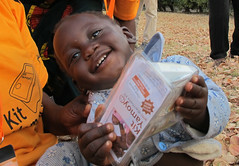 The addition of co-packaged ORS and Zinc on the EMLc for the home treatment of diarrhoea. We are not suggesting that either ORS or Zinc is removed from the EMLc, where they are currently listed separately. This is because, in the clinic or hospital setting, more or less ORS and Zinc may be required to treat a specific case. Presenting this suggestion to the Diarrhoea Innovation Group (DIG) in Sep-17. DIG is a sub-group of the Diarrhoea and Pneumonia Working Group which is part of the UN’s Every Woman Every Child initiative. The cascade effect: most countries in the world model their own EML on the one issued by WHO. The funding effect: EMLs are used as the basis for funding and procurement of medicines from national level right down to provincial/regional and district levels within countries. The manufacturer effect: increased funding will create increased demand and manufacturers will respond to this; more co-packaged products will become available at competitive prices. The awareness effect: healthcare workers take notice of what’s on the EML. Having co-packaged ORS and Zinc on EMLs for the home treatment of diarrhoea will help make this the de facto treatment for diarrhoea in the home. 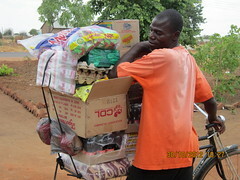 If you can suggest further channels through which we should work in the build up to Mar-19 please let us know by commenting on this blog post or emailing act@colalife.org. specifies new uses for 9 already-listed products, bringing the total to 433 drugs deemed essential for addressing the most important public health needs globally. The 20th List also provides new advice on which antibiotics to use for common infections and which to preserve for the most serious syndromes, based on a thorough review of all essential antibiotics. Intended to optimise antibiotic use and reduce antibiotic resistance without restricting access, the List categorises antibiotics into three groups: ACCESS, WATCH, RESERVE. paediatric formulations of medicines for tuberculosis, and two cancer pain relievers.